Maleme village in Chania is located in western Crete, 16 km from Chania city. 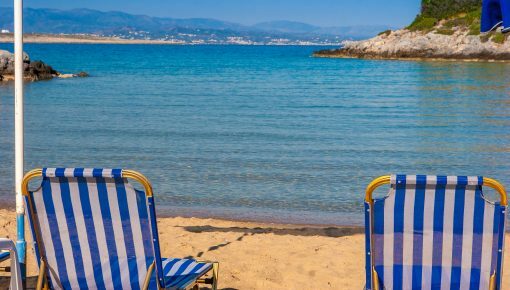 It is only 2 km from the large region of Platanias and it is a part of the large tourist area which starts from Chania city and proceeds westwards to Kolymbari and it offers its guests a beautiful beach and tourist infrastructure which is constantly growing. Those who will mostly enjoy their holidays in this place are the visitors who like to be near the beach and have many options for excursions and entertainment. As it is located next to Platanias, a place with lively nightlife, you can take part in this, anytime you want to have fun. 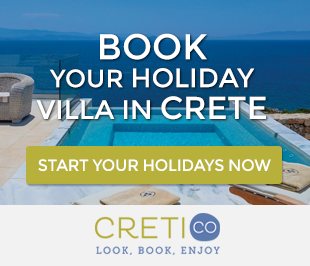 However, at the same time, if it is not what you want for your holidays in Crete, you can avoid it completely. From the village, within minutes, you are able to get to the city of Chania and visit the most picturesque old town in Crete. 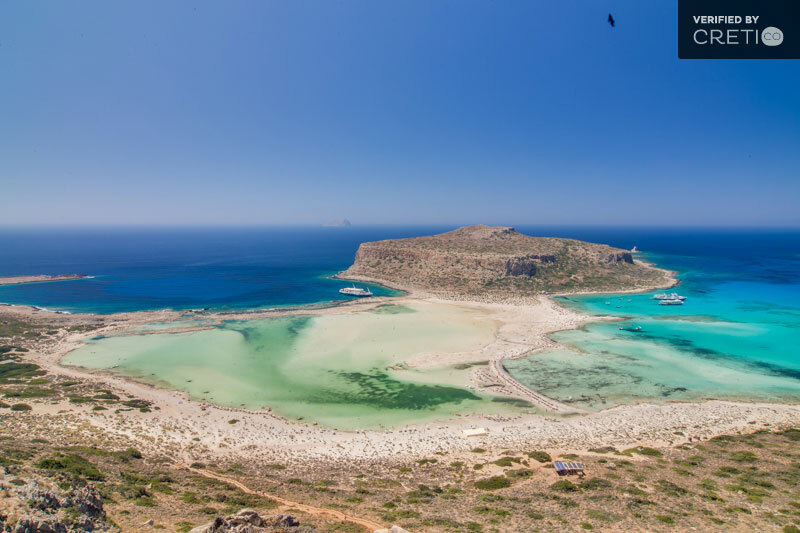 You can also drive a few kilometers and explore the west coast of Crete with the lagoon of Balos and the famous Elafonisi or spend romantic moments enjoying the sunset in Falassarna. In general, it offers numerable choices for excursions. This is not only a prerogative of Maleme, as every town and village in the region can offer you these choices. It is also an ideal place for those who are interested in the recent history of Crete and especially the Battle of Crete during the 2nd World War. It starred in this period, because of its airport. 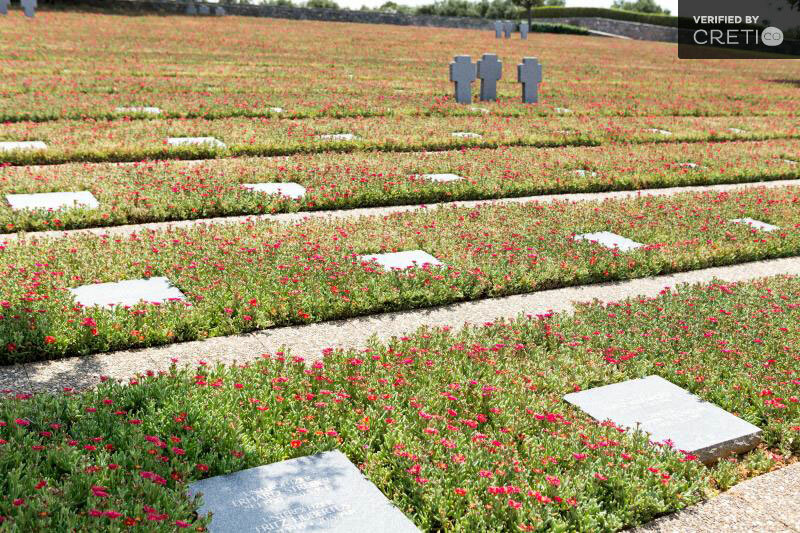 Thousands of German paratroopers died during their try to occupy the airport and they rest in the German Cemetery. 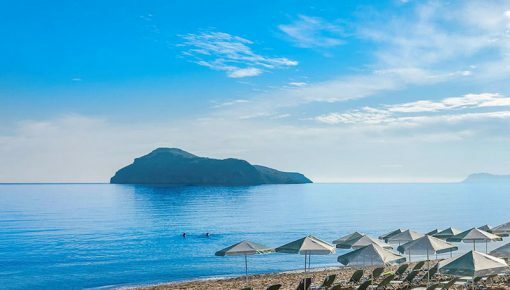 The beach of Maleme is remarkable. It is wide, sandy and quite large in length. You can walk along the beach until the point where the crossing is prohibited because of the military installations.The largest part of the beach is not organized. You can find umbrellas and sunbeds only along the coastline in front of the cafeterias and the hotels. In the western part of the beach usually you don’t see any visitors. However, there are some trees for those who feel the need for some shade. 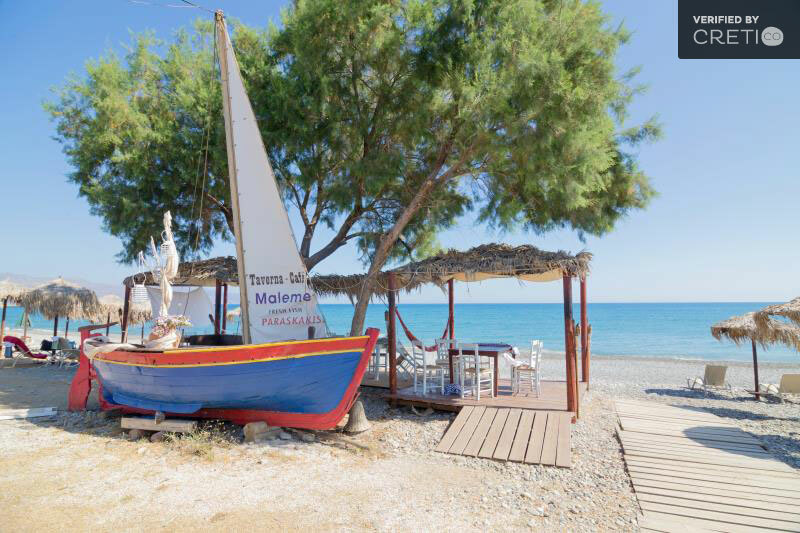 Maleme is located 30 km from Chania Airport and can be reached by following the highway from Chania to Kissamos until the exit to Platanias. Then you follow the signs. If you are at the Port of Souda, Maleme is just 20 km away. 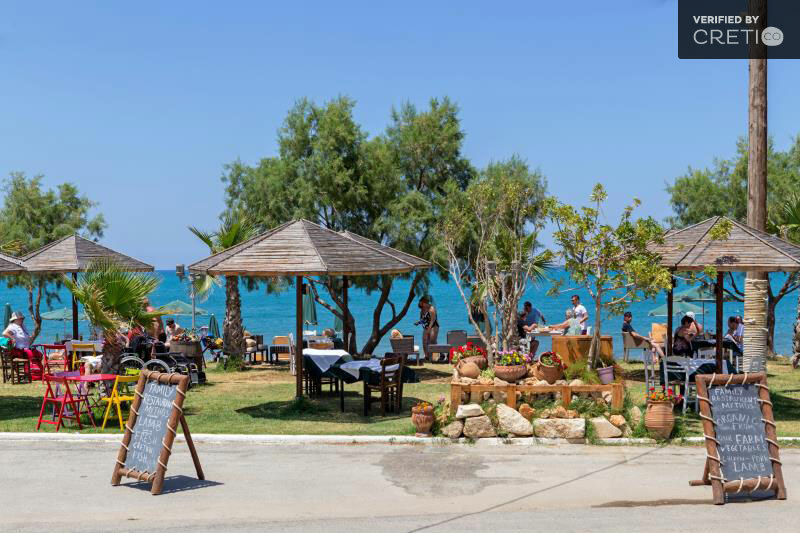 You follow the exit to the highway Rethymnon – Chania and drive to the west (towards Kissamos). Avoid going from Souda to Chania and then to Maleme because you will lose time in city traffic. If you do not have a car, then you can take the bus from Chania to Maleme which passes frequently until late in the night. 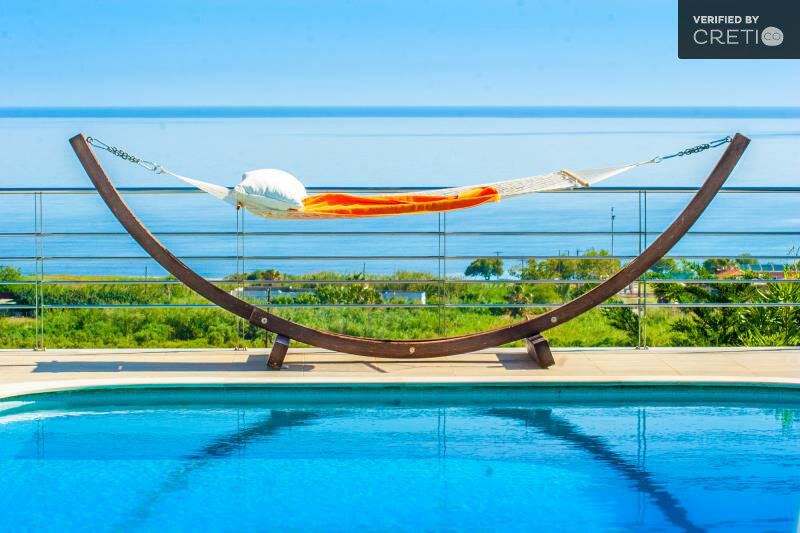 If you are searching for a luxurious holiday villa in Maleme, it will be quite difficult for you to make your choice, as there is a big variety of villa rentals offered, all of them with private swimming pool, being either close to the beach or offering a wonderful sea view. Posted on 29 Nov 2014 in Chania and tagged Beaches In Chania, Beaches In Crete.